Pure quality. 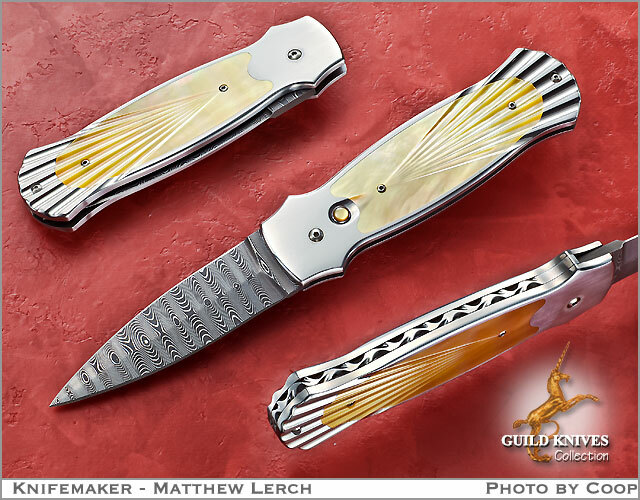 Press the gold mother of pearl release button and a delightfully smooth blade opening takes place. The radiating carved flutes of the MOP carry through the stainless pommel of the knife with our a flinch, marvelously coordinated file work. This is clean art in a knife!